District of Columbia collective Good Buddies has been hosting deep house events in the capital city for a few years now, most notably through a Sunday monthly at the legendary Eighteenth Street Lounge. The crew now looks to transition their heavy hitting sound to a digital imprint by the same name. 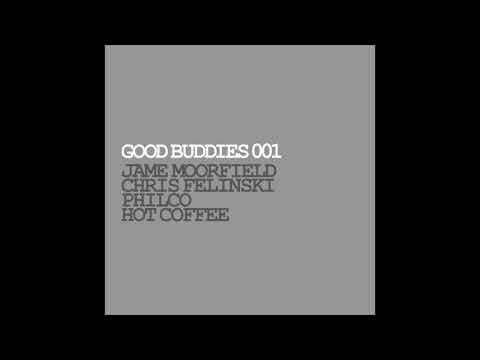 GB001 is a posse record featuring the likes of co-bosses Philco and Chris Felinski, Richmond, VA producer Jame Moorfield and RVA/DC warehouse aficionado Hot Coffee. Our premiere track comes via Felinski’s entry, “Pull It Up”. A booming kick and snare steadily introduce the chop, before allowing the arrangement to blossom in full. Tweaked and filtered samples decorate the background, while the main attraction is a lushly looped and delayed chord that motivates a heist-like atmosphere. It’s a properly chilled cut; served at the right temperature with a stylishly sinister vibe reminiscent of the likes of Black Loops and other modern deep house favorites. GB001 is up on Bandcamp for preorder now, and will be available at all major digital retailers next week.